Are you starting to see how jam packed our Friday was! After Versailles and the Eiffel Tower we had some free time away from the tour/group. They dropped us off in the Place de la Concorde and we had about 3 hours to do what we wanted until we were to meet back up again for dinner. 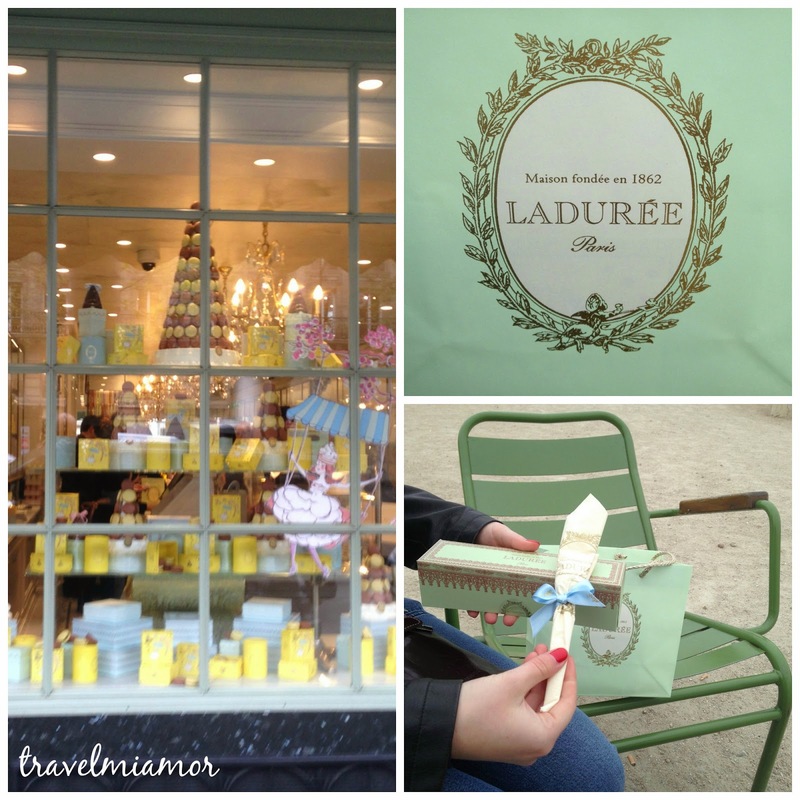 We high tailed it to the closest Ladurée! In here I bought a chocolate éclair and some macaroons for myself, mom and mother-in-law (ridiculously overpriced but oh so good!). After our purchase we walked over to the Tuileries Garden and I ate my yummy éclair… OMG it was so good! 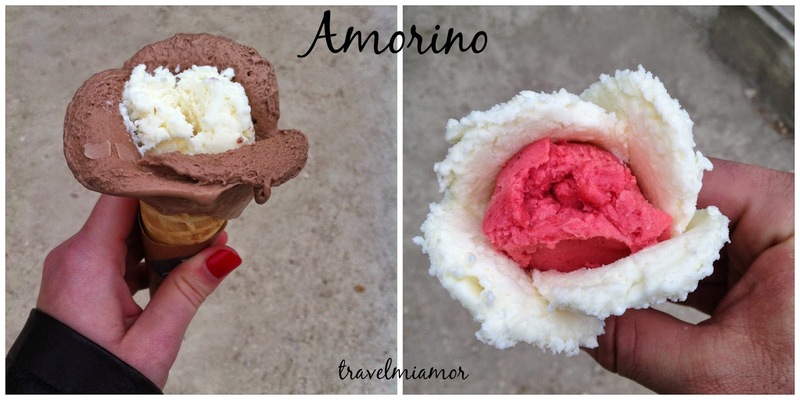 As we sat we saw that Amorino had a food truck set up in the garden so we had some ice cream too. 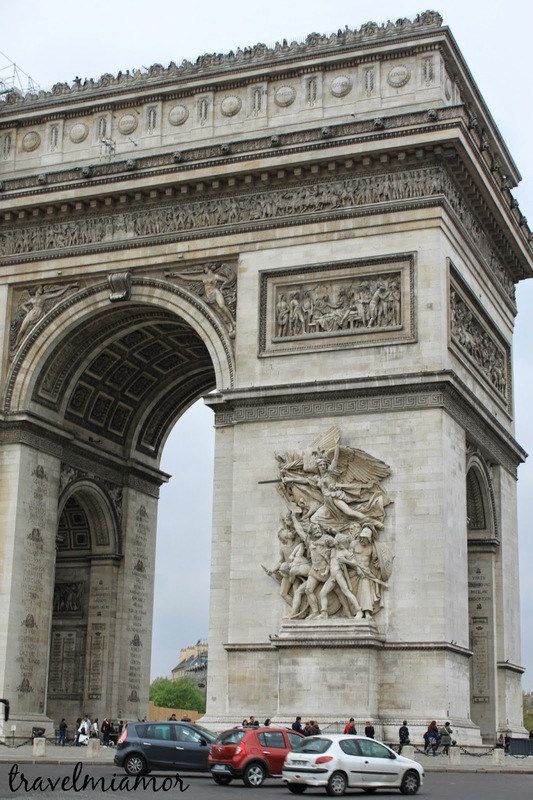 We walked down to the Louvre, took some pictures and then headed for the Arc de Triomphe via the Champs-Élysées. It was about a 5K walk from the Louvre to the Arc de Triomphe. We took some pictures and of course our luck, the arc was being restored. After that we popped into a McDonalds to get some free WiFi and then met the group for our last dinner at Flora Danica. 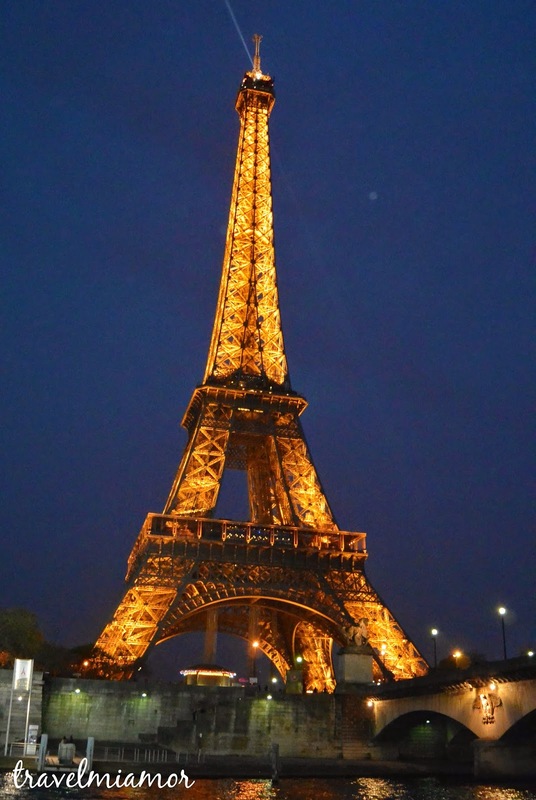 After dinner with the group we went headed to a boat to do a night cruise on the Seine so we could see the city lights come on as the sun set. 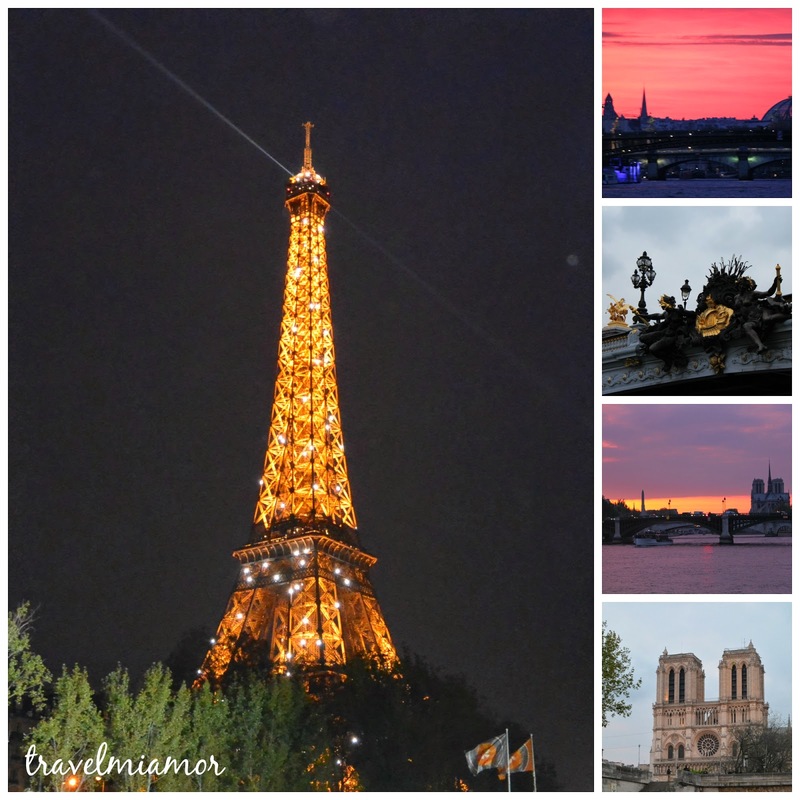 I think this is a must do if you’re in Paris and we had a gorgeous sunset! I think it was about a two hour cruise and we finished just as the Eiffel Tower stopped sparkling (she sparkles ever hour on the hour until midnight). What are some of your favorite places to grab some sweet treats in Paris?